Over/Under: Over 154.5 at 1.91 Bet Now! There has been no time to waste since the opening game in this series with Fenerbahce once again hosting the reigning Euroleague champions in their five game series. The opening game was won by the home side with a margin of 80-72, even though Maccabi were in the lead by double figures in the third quarter. Jan Vesely had a massive game, offering up 23 points for the victors while Nemanja Bjelica managed to serve up a double-double. There was also a tremendous showing from Jeremy Pargo who provided 25 points and 8 assists for the Israeli side. Whether Pargo will be able to achieve the same level of performance in this game remains to be seen as he was on the court for 33 minutes on Tuesday night. When the games come thick and fast, players have to dig deep and coaches need to use their squad to great effect. The Turkish team now holds a 20-5 record in the Euroleague this season, after their win on Tuesday. The record has been built on the back of a strong 8-2 record in the regular season and a very robust 11-3 record achieved in the Top 16. As for Maccabi, they have now moved on to a 16-9 record so far and the champions really need to get going at some point. They achieved a 7-3 record in the regular season and then they picked up a 9-5 record in the Top 16. 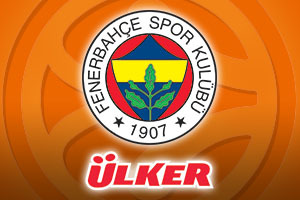 With respect to average points scored, Fenerbahce lead with a 82.0 to 77.6 record. Andrew Goudelock wasn’t hugely influential in the game on Tuesday night but he still remains the main man for the Turkish side. He has provided an average of 16.4 points per game this season. Nemanja Belica has also bene hugely important this campaign, offering up an average of 8.4 rebounds per game this season and Emir Preldzic has provided an average of 3.2 assists per game this campaign. For Maccabi Electra Tel Aviv, Devin Smith has been the key player, providing an average of 15.7 points per game and an average of 6.2 rebounds per. Jeremy Pargo is now up to an average of 5.6 assists per game after his performance in the game on Tuesday night. If you want to know who the bookies are backing on this one, you will find that Bwin think home advantage will be the big factor here. 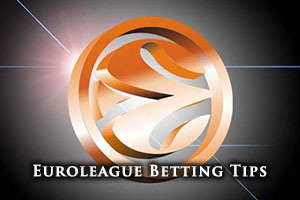 Fenerbahce are listed as having odds of 1.35 on the Money Line while Maccabi Electra Tel Aviv are listed at 3.30 to level the tie before it moves on to Israel. With respect to the handicap odds, taking Fenerbahce at -6.5, with odds of 1.87 is likely to be of decent value. If you are looking to the Over/Under market for some value, going OVER 154.5 at odds of 1.91 could be of interest for this clash that takes place on Thursday evening. Bet Now!